More Events... More Music... More Fun Than Ever Before!! 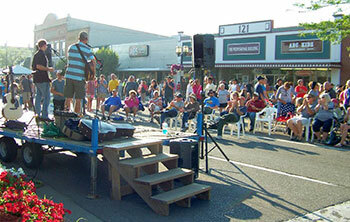 There are many reasons to be in Ludington in the heart of summer, and one of them is the very popular Friday Night Live. Scheduled for four Friday nights in July and August, FNL features music, food, and great family activities. Three blocks of Ludington Avenue between Harrison and Robert streets are closed to traffic, as well as the first few blocks of South James Street between 6-9pm, allowing people to fill the streets and watch local entertainment. Some of the highlights include musical performances, inflatables, Baby Badger rides, pony rides and various demonstrations. The Farmers Market in North James Street Plaza is also open during Friday Night Live. Friday Night Live Now in its 14th Year! 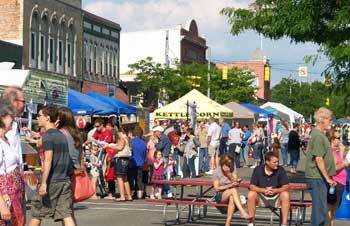 What began in 2005 as a way of getting people into downtown Ludington has grown into a huge community event. Friday Night Live enjoyed record crowds last year, with a mix of young and old, locals and visitors. What makes Friday Night Live so special? Maybe it's the old-fashioned feeling of being in a town you love, seeing friends and family on the street, and enjoying all the goodness of summer. There's plenty to keep kids busy--inflatables, face painting, pony rides, activities at the Sandcastles booth, games, and kids clinics. The Baby Badger flotilla offers rides to little ones throughout the evening, and on a select night, there's even a pirate ship with Ludington's own Lakeshore Parrothead Club! Adults like the local music, and Friday Night Live is the perfect showcase for area musicians. Different stages offer a variety of music, with something for everyone. Then there are dancers, martial arts demonstrations, and many other goodies to enjoy. Downtown shops welcome you with smiles and great bargains, and restaurants set up tables outside to tempt you with their specialties. After a hectic work week or a day at the beach, Friday Night Live is the perfect place to start your weekend. It's summer at its best, right here in this wonderful place we call Ludington. 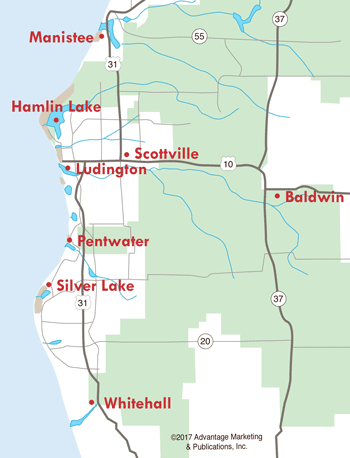 Check out Ludington Lodging for places to stay during Friday Night Live and Ludington Restaurants for great places to eat.